Leland “Lee” Smithson can really tell a good story. It’s a kick to hear him describe how, as a high school boy in the post-WW II years, his interest in a transportation career was jump-started when he heard presidential candidate Dwight Eisenhower, in a campaign speech from the steps of the capitol building in Des Moines, promote his ambitious and exciting plan for the interstate highway system across America. 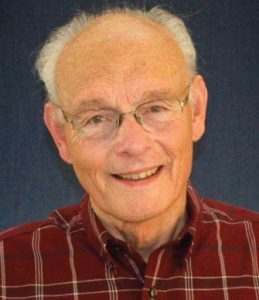 Lee’s 45-year career with the Iowa DOT began in 1957 and included stints as inspector, resident maintenance engineer, long-range planning engineer, director of the office of maintenance, and assistant director of the research division, to name just a few. As he took on greater responsibilities at the state agency, he also took on national leadership roles in TRB and AASHTO and in organizing and conducting international scanning tours that fueled research projects at home. Oh, and he also sandwiched a part-time, 32-year military career in there, retiring as colonel in 1990. It’s equally satisfying to hear Lee describe his involvement with the Aurora Program since its inception in 1998. 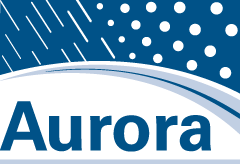 Aurora, it turns out, was organized in part to push implementation of RWIS and anti-icing research accomplished under the first Strategic Highway Research Program (SHRP), which ended in 1994. Aurora was a natural progression from the SHRP Lead States effort, through which Lee led national activities related to developing proactive and sustainable winter roadway maintenance. “Critical research was completed through SHRP,” Lee says, “but SHRP ended with a lot of basic research still needing to be done-like where to locate RWIS stations.” Aurora was formed to help pick up the implementation slack. About the same time that the Aurora Program began in 1998, Lee also assumed the role of Snow and Ice Cooperative Program (SICOP) coordinator at AASHTO. He continued in that position and as AASHTO’s SICOP representative to Aurora after his retirement from the Iowa DOT in 2002. Lee was the second chair of Aurora. With the Swedish Transport Agency’s membership in Aurora, he helped foster the international perspective that he felt was critical to successful RWIS implementation here in the United States. In addition to his work with SICOP and his active involvement with Aurora and its sister program Clear Roads, Lee has been a major supporter of the biennial National Winter Maintenance Peer Exchanges. To Lee’s way of thinking, there’s no better medium for sharing best practices and generating ideas. “You sit around and talk about things for a while, and you can figure out just about anything,” he says. Other outreach activities that Lee is especially proud to have helped develop are eight computer-based training (CBT) modules in all aspects of winter roadway maintenance for state and local governments, which were developed through a multi-organization pooled fund, and the very active, subscriber-based list serve for the snow-and-ice community, managed by SICOP and AASHTO’s Winter Maintenance Technical Service Program. Lee put his story-telling talents to work in helping to conceptualize the character of Jake the equipment operator, who was a central figure in the first two CBT modules. “Everybody who takes the training really identifies with Jake,” he says. Just because he’s retiring from AASHTO doesn’t mean Lee is setting aside his interest in winter road maintenance and Aurora. “There’s still a lot to do in establishing a sustainable systems approach to snow and ice control in this country.” He looks forward to continued improvements that reduce the environmental impacts of technologies, materials, and methods. Rick compares Lee to a living history book about winter roadway maintenance, who knows everyone across the country who is active in winter maintenance advancements. “Lee’s network reaches so deep,” Rick says. But, having worked closely with Lee since SICOP’s early days, Rick is eager to take up his new role. “I think I share Lee’s energy and passion for this work,” he says. “I want to carry that on. Sounds like another story teller in the works. According to Travis Lutman, ITS engineer at the North Dakota DOT and new chair of Aurora, North Dakota has been a member of Aurora since 2005 and has reaped many benefits from its membership. “For the $25,000 membership fee,” he says, “we have access to many times that amount in research dollars that we couldn’t tackle alone. And most of the projects directly benefit North Dakota in some way.” This pooling of resources is one of the primary advantages of belonging to Aurora. And North Dakota is actively involved in Aurora research. For example, the state is currently involved with the Seasonal Weight Restriction Demonstration Project (2012-05). The objective of this research is to validate the predicted thaw depths and restriction dates recommended using the Clarus EICM approach and alternative, degree-day based approaches to provide an understanding of the reliability of different approaches in setting load restriction dates. Other states involved are Michigan, Wisconsin, Alaska, Iowa, and project champion Ontario. “Right now, we make weight-restriction decisions based primarily on data from falling-weight deflectometers,” Lutman says. “The models are additional tools that can supplement that data when making a decision.” By using the models, states may be able to shorten the periods of weight restriction, or remove the restrictions for intermittent periods of time. As part of his day job, Lutman is overseeing many RWIS and ITS-related projects in North Dakota. The state is busy upgrading its RWIS system and related technologies. During the last couple of years, it has replaced about half of its aging RWIS fleet; now it is replacing the other half and increasing the system’s density across the state. 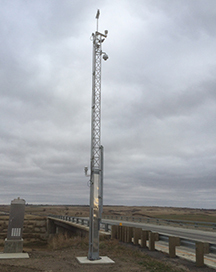 In addition, North Dakota is implementing new software that places all DMS, ESS, and cameras under one Advanced Traffic Management System. Finally, the state is adding AVL to a number of its snowplow fleet. In recent months, the Aurora Program has completed three road weather research projects. The objective of this project was to investigate the potential use of ESS-equipped RWIS sites for different types of data collection (such as air-quality and traffic) as well as the use of existing traffic and ITS infrastructure as a platform for ESS and RWIS. Based on an initial survey of professionals in the transportation, road weather, and ITS communities; the research documents several unique applications used by a number of state/provincial and local agencies. These applications are grouped into eight case study categories; including use of dynamic message signs (DMS) to sense low-visibility or icy conditions, use of traffic signal hardware as a host for ESS, and high wind detection. In addition, based on the survey and several follow-up interviews, the research report provides a broad summary of road-weather related practices from 21 state and provincial agencies from across North America. More details on the project can be found in the final report. The objective of this project was to develop a working matrix of different agencies’ experiences with sensors used in road weather information data collection. An internal matrix/spreadsheet has been circulated to and updated by the member agencies for ongoing input. This effort looked at remote monitoring through the use of cameras, which is widely utilized for traffic operation, but has not been utilized widely for roadway maintenance operations. The overall objective of this study was to evaluate the effectiveness of the use of the CRVS camera system in snow removal-related maintenance operations. This study was conducted in two parts: opinion surveys of maintenance station supervisors and an analysis on snow removal-related maintenance costs. The responses to the opinion surveys mostly displayed positive reviews of the use of the CRVS cameras. For the second part of this study, an analysis was performed on the snow removal-related maintenance cost data to see if the installation of a CRVS camera had an effect in reducing expedition trips. This analysis resulted in an average of 14 percent higher ratio of expedition costs at maintenance stations with a CRVS camera before the installation of the camera compared to the ratio of expedition costs after installation of the camera. This difference was not proven to be statistically significant at the 95 percent confident level, but indicated that the installation of CRVS cameras was on the average helpful in reducing expedition costs and may be considered practically significant. For more information, contact Chris Albrecht at calbrecht@iastate.edu. For more information, see http://annual.ametsoc.org/2015/. For more information, see www.trb.org/AnnualMeeting2015/AnnualMeeting2015.aspx. For more information, contact Colleen Bos at colleen.bos@ctcandassociates.com. For more information, contact Bob Younie at bob.younie@dot.iowa.gov.